Lazy 5 Ranch’s annual Fall Festival is ON! Now through October 28, take the entire family to one of our favorite Rowan County spots. 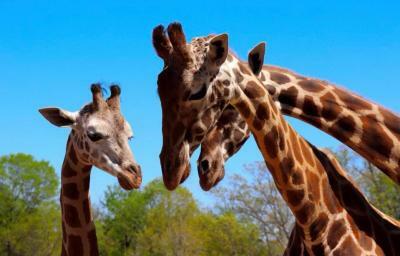 The ranch is filled with fun fall activities for all ages, plus who doesn’t love seeing the animals? 1. 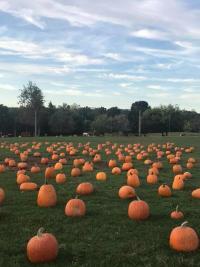 Visit the Pumpkin Patch: Not too big, not too small, but just right! Wander around the Lazy 5 Ranch Pumpkin Patch to find the perfect pumpkin for the season. There’s all shapes, sizes and colors. How will we choose?! Search for the perfect pumpkin to carve, or paint! 2. Paint a Pumpkin: You pick the pumpkin from the patch and Lazy 5 Ranch will bring the paint! Let you child use their imagination to paint their perfect fall pumpkin. 3. Climb on the Straw Castle: Can you get to the top of the Straw Castle? Whether you want to be Queen or the world, or just a King surveying your kingdom, the top of the Straw Castle is the perfect place to rule! 4. Play in the Corn Box: Who needs sand when you’ve got corn! Hop in the Corn Box for all sorts of scooping and playing. Maybe you can even bury your sibling! 5. Try the Pumpkin Slingshot: Take aim and fire! Take your turn on our Pumpkin Slingshot and watch as pumpkins fly through the air! 6. Play Corn Hole: What is fall without a good game of corn hole? Show us your skill and see who will be the champion! 8. Take a Wagon Ride: Don’t forget the best part of Lazy 5 Ranch, the animals! 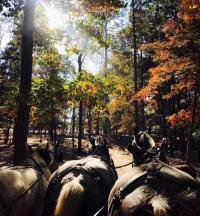 Take a wagon ride and see how much the animals enjoy the changing leaves and lower temperatures. They’ll be eagerly waiting to see you! Be sure to check Lazy 5 Ranch’s Facebook page for more information about all of their fall activities. Some activities are only available on Saturday and Sunday, so be sure to plan ahead! We know one thing is for sure, the animals can’t wait to see you! 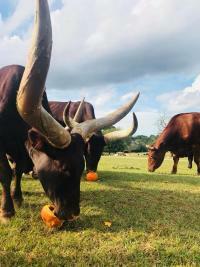 If you need more fall fun, visit Patterson Farm’s Fall Fun on the Farm or explore our entire list of events for Fall in Rowan County.